The Super Bowl has become one of the U.S.’s largest annual traditions, with the big game attracting huge audiences year after year. 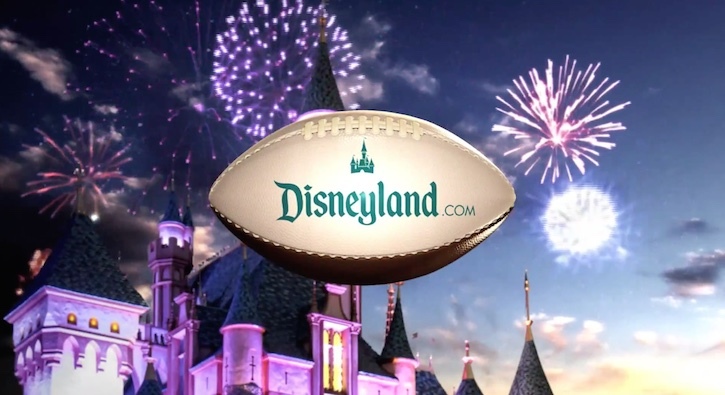 It has also become a tradition for Disney to release Disney Parks commercials where a player (or two) from the winning team proclaims, “I’m going to Disneyland!”. A variant is also put together as well, where Disney World is the destination. The ads are taped directly after the game, amidst the raucous post-game celebration. Watch the brand new commercial, just released, after the break! This year, Disney had two players from the New England Patriots, Julian Edelman and Malcolm Butler, take part in the company’s “What’s Next?” ad series. Started in 1987, the ads feature a player being asked what he wants to do next, with the response being he wants to go to Disneyland or Disney World. It is less common for two players to take part, but there is precedence. Edelman and Butler will be the main focus of the “hero’s welcome parade,” scheduled to be held today on Disneyland’s Main Street, U.S.A.